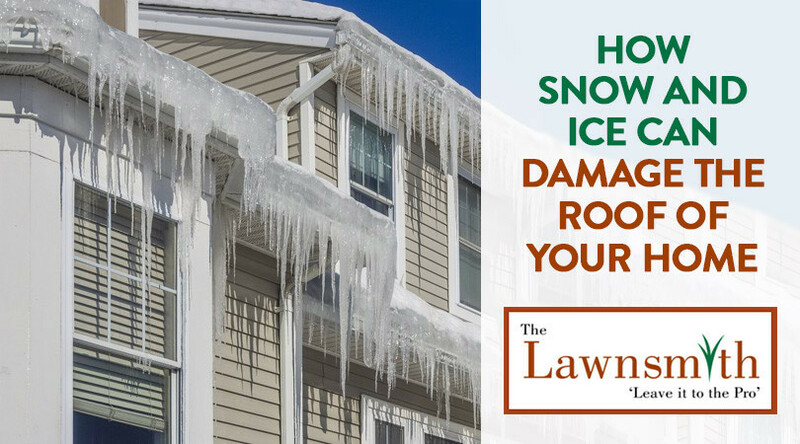 An ice dam occurs when snow melting on your roof cannot escape freely so it freezes instead. Ice dams appear in gutters and on flat spots and valley of roofs most frequently. The situation gets worse with repeated freeze and thaw cycles, which is pretty much a given in Minnesota. When this happens enough times and the homeowner remains unaware of it, he or she could eventually have water leaking into the home. The roof can even collapse in a worse-case scenario. It’s much easier to prevent ice dams from forming in the first place than it is to remove them later. The Lawnsmith recommends removing snow with a rake as soon as possible any time after an accumulation of six inches or more. Additionally, clean your gutters in the late fall to ensure that melted snow can move through them freely. Ensuring that your roof has good ventilation and that you have a well-insulated attic can also help to prevent the formation of ice dams. As you can see, it takes considerable effort to remove ice dams from a roof. If you don’t feel comfortable doing the job yourself, don’t hesitate to contact the Lawnsmith to do it for you. We also offer gutter cleaning, snow removal, and other services that can make your life easier this time of year.